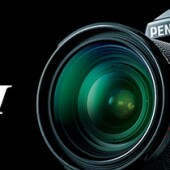 → The new Pentax lenses are now available for pre-order: 11-18mm f/2.8 at Adorama & B&H and 35mm f/2 at Adorama & B&H. → Meike lenses are now available for sale at B&H. → Meike has a new 50mm f/1.7 lens for Nikon Z-mount, → Meike also has a new 6-11mm f/3.5 APS-C manual focusing fisheye zoom lens for Fiji X-mount.